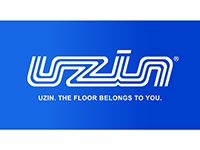 UZIN provides a range of high quality adhesives for the installation of carpets, vinyl, linoleum, rubber as well as luxury vinyl tiles and wood. The adhesive undergoes intensive and rigorous testing and therefore provides an extremely reliable and durable bond with the floor covering. The company focus on innovating new environmental solutions when installing floor coverings. UZIN have developed several solvent-free adhesives with low VOC emissions and have range ecological adhesives suitable for installing a variety of different floor coverings. Many of their adhesives have gained EC1 Plus® certification, are solvent-free, very low emission and guarantee excellent indoor air quality as well as providing the most ecological approach for flooring installations. Quick, clean renovations without closures. With SwitchTec® by UZIN it is now possible to renovate floors without causing unnecessary disturbances or closing premises. Floor coverings can be replaced quickly, quietly and cleanly, then years later can be removed without leaving any residues. The tape adhesives enables floor coverings to be replaced almost anywhere from shops, offices to hospitals and care homes. New floor coverings are ready for foot traffic immediately and all areas are available for use without interruption. UZIN are able to provide technical advice and support as well as written specifications upon request.